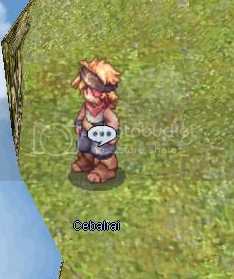 Take these items to Cebalrai (pictured below) in mystic_shop 249 99 to get this strange little hat. God knows why he makes a bunch of rings and this one hat. 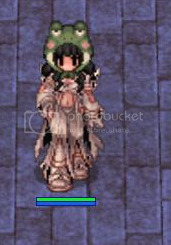 1 You can get this lovely frog hat from trading 3 ticket from Ticket Exchanger NPC at mystic_fore 159 251.